Amid uncertainty over NATO member’s defense spending, energy deals with Russia and the very future of the alliance itself, combating Moscow’s campaign of digital war quietly emerged as an item of agreement for the 29-state body during a summit in Brussels. Consider: Few previous NATO meetings of world leaders have included so much discussion over cybersecurity. In a joint declaration, the word “cyber” appeared 26 times. In what appears to be a first for the alliance, leaders twice mentioned the threat of “disinformation campaigns,” that have spread chaos through western countries. The declaration devoted two sections to digital security. Leaders agreed to create two new bodies: A cyberspace operations center in Belgium and a “Joint Force Command” headquarters based in Norfolk, Virginia, that is focused on protecting transatlantic lines of communication. The alliance also agreed to integrate cybersecurity into NATO operations, although it is not mandatory for countries to do so. The joint decleration followed a recent announcement by the organization that it would boslter its joint cyber operations. If nessecary, alliance members can coordinate a response to a malicious cyberattack, strengthening the pact’s agreement of collective self-defense. 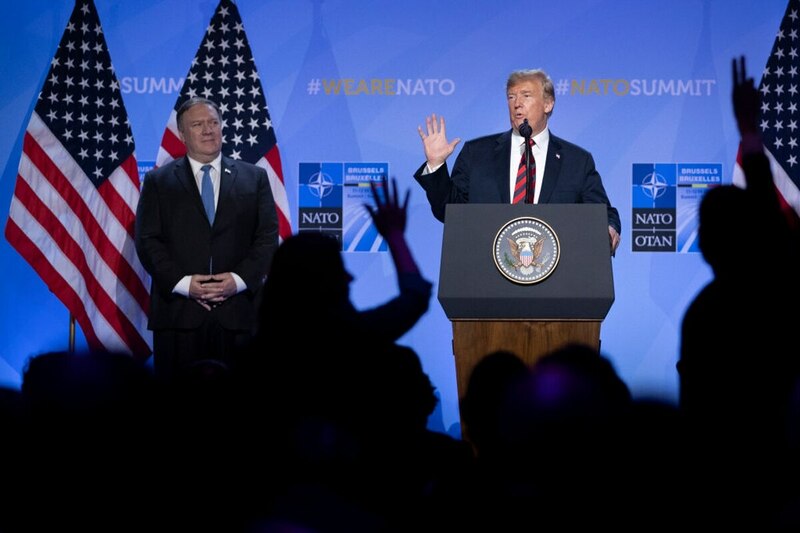 “We don’t accept cyber, propaganda, interference in domestic political processes,” said NATO Secretary General Jens Stolenberg during a press conference on June 11. He added later in the day that NATO will continue to assist Ukraine in “cyber defense,” amid its upcoming elections. The focus on cybersecurity and online warfare may be caused by the digital battering that alliance members have experienced in recent years. As NATO members posed for a “family” photograph on Wednesday, it was difficult to pick out members of the transatlantic partnership where Russian disinformation or cyberattacks have been absent. There was Milo Djukanovic of Montenegro, Emmanuel Macron of France, and Jüri Ratas of Estonia, Theresa May of Britain and Angela Merkel of Germany; just a sample of NATO countries who have confronted Russian hackers and propaganda. However experts say that the alliance’s cyber provisions depend on the strength of the organization itself, which came into doubt during a “turbulent” morning, according to sister-site Defense News. After Trump apparently indirectly threatened to leave NATO if countries did not boost their defense spending, the alliance held an emergency meeting. But in a press conference afterword, Trump praised the alliance and said that “the United States’ commitment to NATO is very strong.” While he claimed that countries agreed to boost their military spending, The Associated Press reported that Macron disputed the claim. Trump also criticized Germany on Twitter for paying “billions of dollars” for Russian oil on Thursday morning. “Not acceptable!,” Trump tweeted.